Now through September 22nd, Best Buy is offering up savings for Students on computers, monitors, tablets and so much more! Today Only, September 7th only, this Insignia 2.6 Cu. 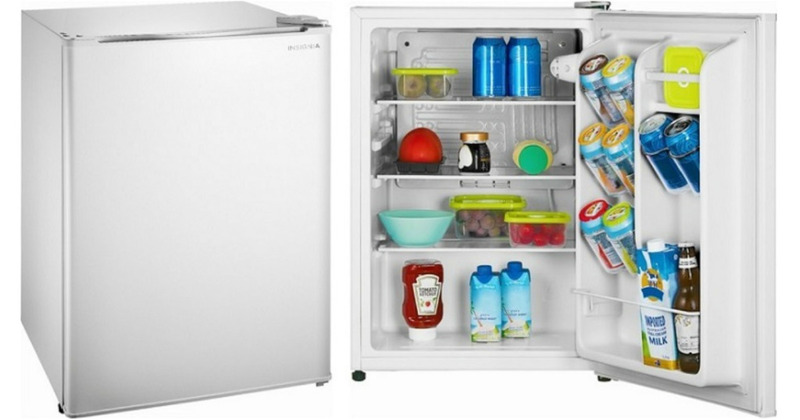 Ft. Mini Fridge in white is on sale for just $74.99 shipped (regularly $119.99). And, you’ll also receive a free $5 Best Buy gift card when you buy a mini fridge and use your unique Student Deals coupon. Know that your gift card will ship separately and is not available for store pickup. Final cost $74.99 shipped + free $5 Best Buy Gift Card!